Is [insert your food here] paleo? That’s probably the number one question we get around here – after all – this is the . 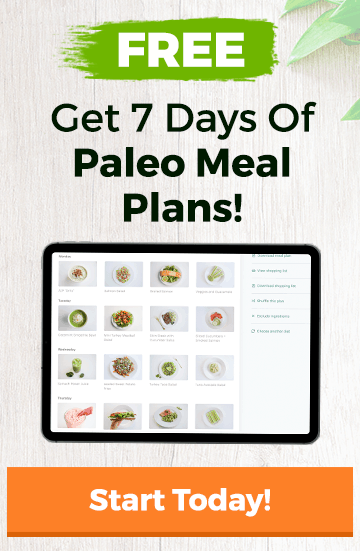 There’s a lot of grey areas – and even in our food list – while it’s pretty comprehensive doesn’t cover all the different variances within the different paleo camps. 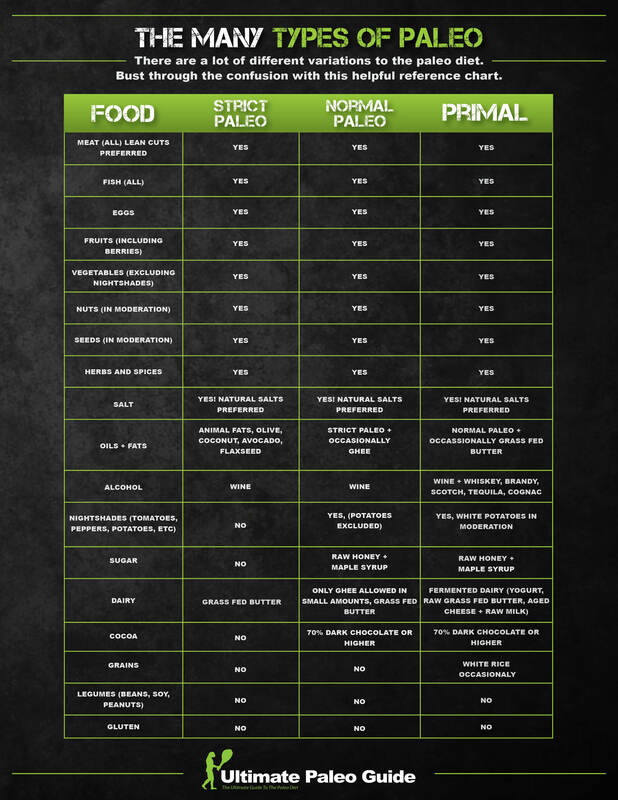 In an attempt to try & solve this once & for all, we sat down with our favorite graphic designer and put together this comparison chart of the different stances of various paleo camps. While we don’t dive deep into this chart exactly WHY each camp acts the way they do, it will give you a nice 30,000 ft overview of what “camps” of paleo eat different things. Now, this chart isn’t definitive by any means, but it is one heck of a good start and does quite a bit to demistify the differences between the different paleo camps. Check it out below, share & pin it on your favorite sites and let us know what you think! What type of paleo do you follow? Or, have you made up your own version of paleo? Also, be sure to share & pint the graphic above if you liked it. PRIMAL fits me pretty much to a T. I’m glad you included “white rice occasionally” because I debated about it a lot and finally asserted myself that it’s a “clean” food, esp when compared to other grains. Since I eat a lot of Asian cuisine, it’s really hard to exclude rice when the other ingredients have such strong flavors. Other grains were easy to cut out. I eat pealed white potatoes occasionally. And I used to eat a lot of yogurt but cut it out. That’s pretty handy, but the oils/fats vs dairy confuses me. E.g. Grass Fed Butter is not Strict Paleo fat, but is an allowed dairy… ? I’ve just gone Paleo as I had a problem with beans and grains. This article really cleared up some questions for me. I’m definitely up for Primal as it appears more gentle approach. I’ve been lightening up a bit at the weekends and it works for me. Reading this helps me focus. Thanks. Normal Paleo for me but verging on Strict – can’t live without my tomatoes! and one piece of Lindt 70% chocolate a day is my only sweet treat. Have found a deli close by that has coconut yoghurt … does that count?!? Been Paleo now for seven weeks and loving it! Never, in my entire life, have I felt this good. Even hubby wants to get on board although he’s leaning primal and will move the kids on to Primal also. See’ya fast food, can’t say it’s been nice known ya! Hey Heather, we recommend bulletproof coffee rather than 1/2 & 1/2. Hi Alannah – All rice is not paleo. It’s a grain. I love this website, just wish it would also contain more info about AIP paleo. (AIP Paleo: Auto Immune Protocol – Paleo). Recipes for AIP paleo are so much harder to come by. We’re actually in the middle of finishing up an AIP guide and bringing on an AIP writer! Lots more AIP specific stuff to come! I cannot begin to thank you enough for showing me the light. I have a hyper acidic stomach and have been drinking 9.5 Alkaline water for a few years now… it has helped, but not to the extent Paleo has. I am now adding coconut water and absolutely love it. I am discovering that Paleo is a lifestyle change.. not a diet. I don’t need to lose weight, I just need to feel better. I have had problems with unexplainable vomiting and horrible stomach pains my whole life. I was lactose intolerant as a kid but that mostly went away as I got older (or so I thought). Since I have been on Paleo for 2 weeks, I have no more acid reflux, no vomiting, no sharp stomach pains, no awful gas, no bloating, and foods don’t sit like a rock in my stomach. Even my skin is clearing up. I feel GREAT! I have my dad on Paleo and 2 other friends who want to try it. In fact, I have a friend who has been on Paleo for 6 months and we are Paleo partners! We send pictures of our foods during the day and share recipes and provide support for each other when the other might be having a moment of weakness. The first week was hard for me.. I was constantly hungry and all food liquified when being digested. I stuck it out and now everything is normal. Thank you so much for the information you supply on this site. I even downloaded your app. I am so thankful to all of you for caring enough about the health of others that you created this site and help answer peoples’ questions. You guys rock. Awesome! So glad we can help. Would love to hear more about your story if you’re willing to share it! We are pretty much Primal with the exceptions of rice and potatoes, and only wine on occasion. Thanks so much for sharing this chart! So glad to hear there’s a word for “Primal”–I eat primarily Japanese food at home, so cutting out white rice completely was the one thing that kept me from going Paleo, and doing completely without butter, potatoes, and aged cheese was feeling too much like a “diet” instead of a lifestyle. Now I can proudly tell people that my way of eating is the Primal one, instead of just “Paleo, but I’m not very good at it.” Thank you! !